HOT Starbucks Coupon! 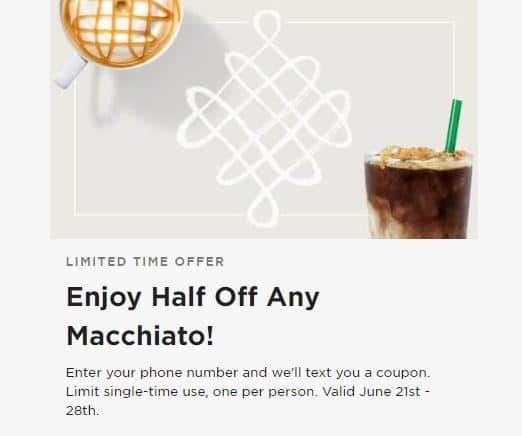 50% OFF a Macchiato for a LIMITED TIME! Enter your phone number and they will text you your coupon! Get Your Coupon NOW!